Photographing dancers in five states, Illinois, Iowa, South Dakota, Minnesota, and Wisconsin for over 20 years. Photographing 1000's of dancers each year with our special touch on dance portraits. 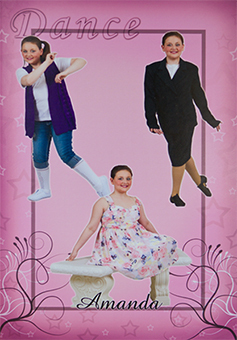 You can find Photographic Keepsake’s dance pictures thought out the United States. We combine our professional experience and photographic knowledge with today's technology to create lasting images that you and your dancers will love for generations to come. What makes Photographic Keepsakes the right choice? 51 years of combined photographic experience, you'll know the job will be done right. Some of the products will be personalize with the dancer’s name on it. Quality Photography with a wide choice of backgrounds and props. Communication with you to fully understand what you are looking for. Providing you with the order forms well in advance. Our phone number on the order forms so the parents can call us with question, rather than bothering you. Multiple photographers and background stations so there will not be any long and boring lines. Friendly staff on picture day to answer any questions your students and parents may have regarding the ordering process. A variety of packages and items for your students to choose from. Your Studio name or logo will be on some of the finished products. Your students will be provided with a receipt of everything they ordered and how much they paid. Fast delivery of the finished portraits. Free group portraits for you (the teacher) in either a 5x7, 8x10 or 16x20 collage. Our team have photographed dance schools in five states. We have 5 different basic packages for your dancers to choose from. Along with 5 bonus items and 22 Ala Cart items that they can add onto their packages. If they wish to not purchase a package they are welcome to order from the Ala Cart price list. Each order will be packaged in an envelope for easy and convenient delivery to your dancers. 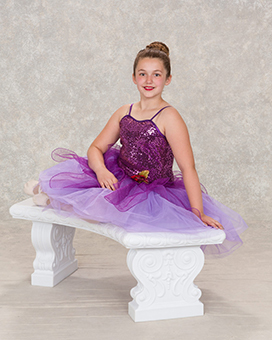 An information sheet will accompany all the pictures ordered to answer any of the questions your dancers may have. Dancer’s Name - Making it a snap to hand out the pictures. Picture Identity - Used to answer any questions that may arise. Reorder Form - Makes ordering additional prints ease. Correction Form - How to contact us for proceed should something unexpected occur. Guarantee - The Photographic Keepsake Promise to you and your dancers. 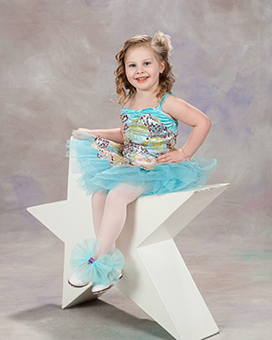 Your dance pictures will be delivered, to your dance studio, individually packaged in approx. 2 to 3 weeks. Should you need rush service please let us know when we schedule your picture day. If you prefer the pictures sent right to the dancers’ homes, please let us know in advance. Our goal is to help your dance studio grow and prosper. Anything we can do to assist you is of great interest to us. 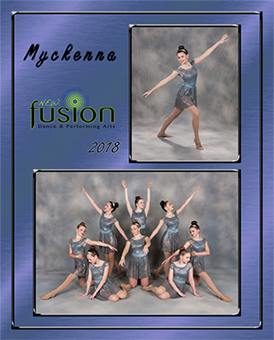 FREE - Display Photos of all Your Dance Studio’s Groups! Your choice of either 5x7 or 8x10 size portraits or a 16x20 collage. FREE - Advertising Images for Your Studio’s Publicity, Promotions, and Contests! Please feel free to discuss your needs; we’re here to help you! 2-3 Week Delivery to Studio or Students. Backgrounds, Assistants and Custom Order Forms. Multiple Photographers for Larger Dance Schools. Free Group Pictures for Display. Free Advertising Images for Publicity, Promotions and Contests. We have elected to grow our business based on referrals from satisfied clients like you. For each of your referrals that become one of our valued clients you will recive a cash bonus.